You know you've been witnessing a season from the ages when falling down the dugout steps and spraining your ankle isn't the most embarrassing thing done by Luis Castillo. The damndest part of Castillo's injury is that he wasn't tracking a foul ball or chasing down an overthow when he took a tumble. He was simply walking back into the dugout after his at-bat in the seventh inning, something that's happened more than 100,000 times without incident this season alone. How does something like this happen? The easiest answer is that Castillo just tired of the misery of the season and decided to throw himself down the stairs to give himself an out. Earlier Tuesday, the Mets learned Jose Reyes' leg injury has once again gotten worse and that he's unlikely to return this season. 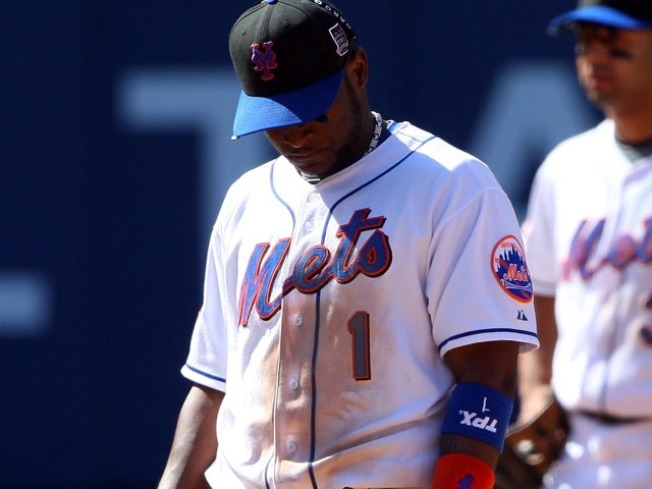 Perhaps Castillo, despondent for his double-play partner, saw a chance to join him and end the pain. On a side note, where did the Mets' medical staff do their training? Medieval England? Reyes is closing in on three months on the disabled list with what started out as tendinitis in the calf. That became discomfort in a tendon in the knee (even if Jerry Manuel thinks you don't need tendons) and for all we know may now be a full blown case of Hanta Virus. It may be time for the Mets doctors to start ordering chicken salad on untoasted rye. Back to Castillo, what else could it be other than a personal choice to end the madness? Johan Santana was pitching on Tuesday, so there could have been one of those big chipotle cheesesteaks he's so enamored with left on the stairs. Rumor has it that they're big, even big enough to send a second baseman down the steps big. If it's a tasty sandwich, though, why would it be left on the steps for anyone to feast on? Then there's the chance that this Mets season is actually one of those "Final Destination" movies. 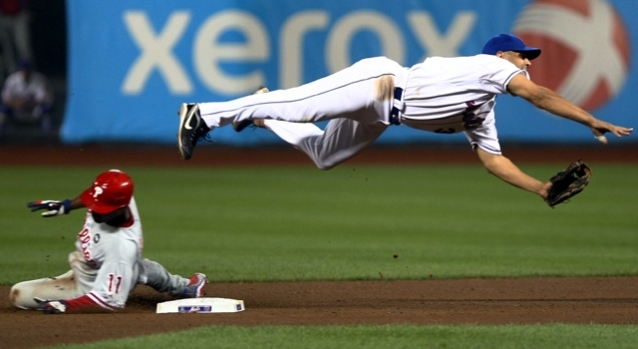 The Mets roster escaped death and now the fates are coming for them to settle the score. Given the nature of the other players injured, that would leave David Wright as the guy who sees what's coming before it happens. With the weight of that knowledge on his shoulders, is it any wonder that his power has disappeared this season?